Borax is a natural occurring boron compound, a white powder consisting of soft colorless crystals that dissolve easily in water. It’s widely used as a flux or cleansing agent, as well as an antiseptic, preservative, cleanser and as a water softener. It has a similar effect on hair, thus it’s common appearance in the ingredients list of homemade shampoos and hair conditioners. It can also be used both in laundry soaps and body soaps. 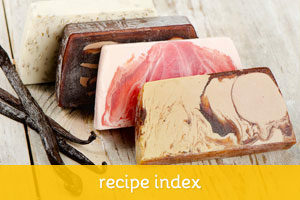 The recipe below produces a very white and extra mild soap, perfect for delicate skin. Dissolve borax in boiling water. Set aside. Melt coconut oil and tallow. Set aside to cool. Stir lye flakes into cold water till completely dissolved. Set aside to cool. When lye and fat are lukewarm, pour lye slowly into fat, stirring constantly. 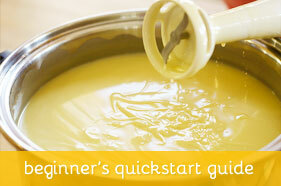 Continue to stir until the mixture becomes thick and creamy. Add the borax solution and continue to stir until the mixture is thick. Pour into molds. Yields 3 & 3/4 lb.. hard bar soap. 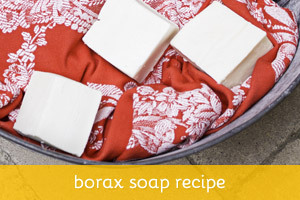 Is Borax Safe to Use in Body Soaps? 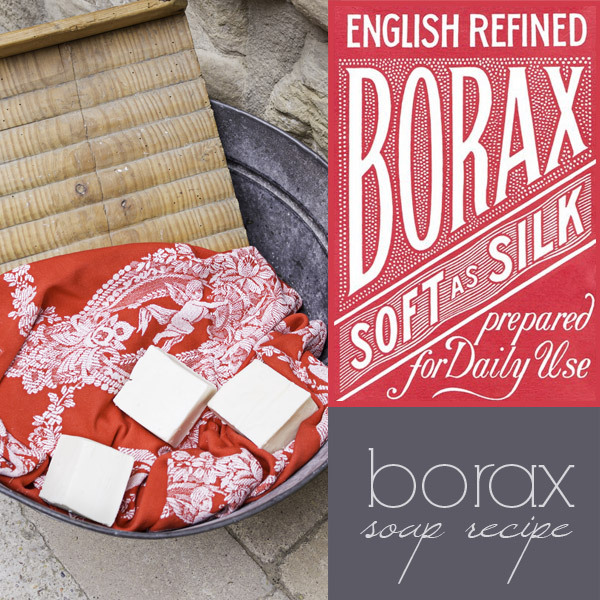 Pure Borax Though widely used as a key ingredient in homemade laundry soap and even as a hair softener agent, many people still wonder if borax is safe to use directly on the skin in the form of body soap. There’s plenty of conflicting information online and most of it derives from one important misconception: that borax is the same as boric acid. It’s not! Borax is an important boron compound, a mineral and a salt. Boric acid, on the other hand, is created when borax is reacted with another acid, such as sulfuric or hydrochloric acid. Borax is an ecologically sound, natural substance that “doesn’t cause cancer, accumulate in the body, or absorb through the skin“. It’s non-toxic, unless you ingest very large quantities of it — just like salt, baking soda or any other substance in this world, even water. 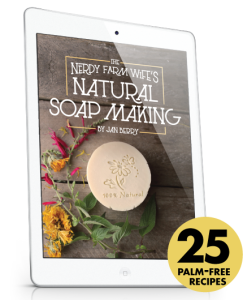 It’s perfectly safe to use in your homemade soaps!